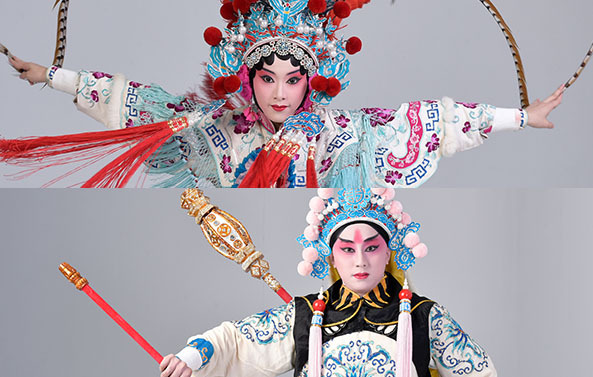 The Qing Mei Yuan Luantan Opera Troupe’s efforts in the realm of traditional arts and culture focus on preserving and promoting the distinctive Luan-tan genre of Taiwanese opera. 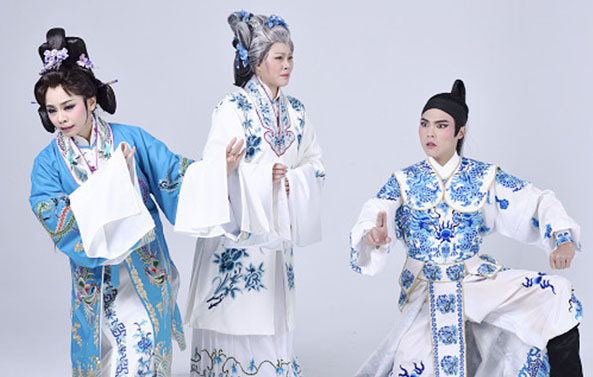 The troupe was registered in 2016 by Cheng I-pei and all members have been personally recruited and trained by the troupe’s director Pan Yu-jiao. The members of this highly respected troupe, 24 years old on average, are deeply passionate about the Luan-tan art form. 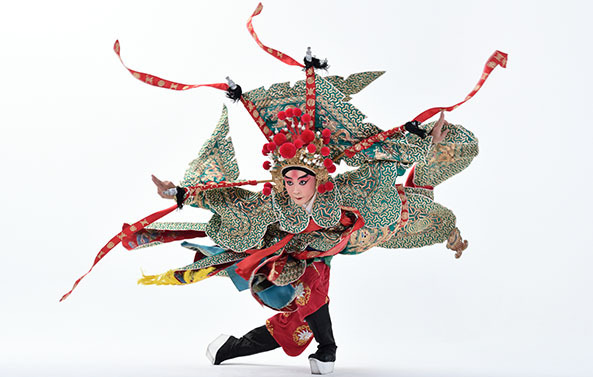 Under Pan Yu-jiao’s steady tutelage, the troupe has staged many Luan-tan opera classics. The narrative picked up on the story of QIU HU, a military officer, who after years away from home, had taken leave to visit his family. On a road near his home village, he saw his wife LUO SHI, who didn’t immediately recognize him. Seeing a chance to test her faithfulness, he tricked her. LUO SHI angrily refuses and go home instantly. Only after he arrived at their doorstep did she realize that the lecher she had met earlier that day was none other than her husband. Emotionally conflicted, she patched up the relationship with her husband only after the adamant intervention of her mother-in-law. Born in 1991, he graduated from National Taiwan College of Performing Arts amd majored in Chou (clown character). Now he studies in Taipei University of the Arts. This time, he learned the role QIU HU from PAN Yu-jiao. When Yu-sheng in university, he studied Luan-tan opera works including Su-Wu the Shepherd, Caught Alive, and The Equipment Room under Yu-ying Liu. He formally joined Rom Shing HOT in 2015 as an apprentice of PAN Yu-jiao. 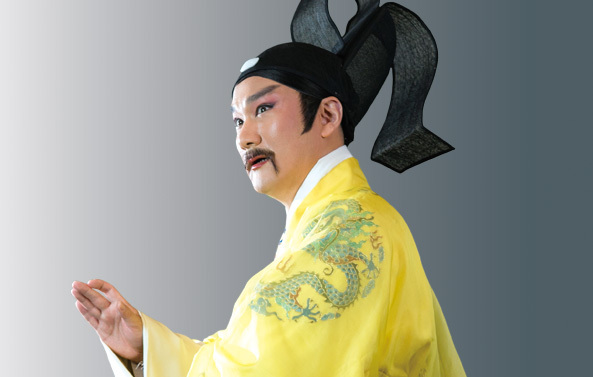 Over the past three years, he has performed in Cutting the Melon, East of the River, Tianshui Pass, The Wine Seller, Dadeng Hall, Releasing Geese, and The Three Tests and taught The Wine Seller to the Lichun Club in Changhua County with PAN Yu-jiao. Last year, he perform Cutting the Melon who went off splendidly and won acclaim in Australia and Los Angeles. Dai-zhen born in 1992. Majored in QingYi (mid-aged female character type). Dai-zhen first learned about Luan-tan opera in university, when she studied for the Wu-pai (including five pieces) of Zhaojun hefan. under LIU Yu-ying. Now she studies in National Taipei University of Arts. She joined Rom Shing HOT in 2015 under the apprenticeship of PAN Yu-jiao. Dai-zhen has studied for the roles of LEE SAN NIANG in The Fighting Fool, LUO SHI in Departing the City, SHE SAI HUA in The Yin-Yang Society, LIU CHAN in Tianshui Pass, WANG BAO CHUAN in Dadeng Hall, and WANG BAO CHUAN in Releasing Geese. Today the number of：64人 / The total number of visitors：131,026人 / Last Updated：2019/04/19.